historiography – Sara S. Goek, Ph.D.
My most-read post on The Dustbin of History so far, from 2 November 2013. For six weeks this autumn I am tutoring third year students for a core module titled Historical Debate. 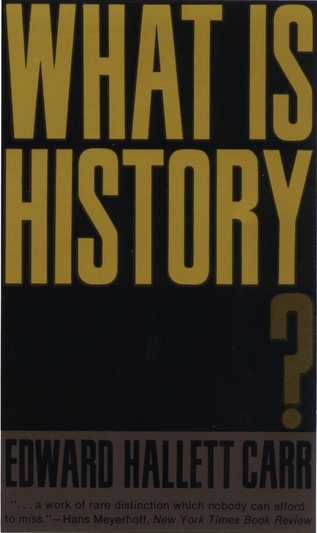 The key focus of this module is not the content of history, but historiography – how history is written and used, by whom, why, and how those elements change over time. These are central issues in historical research but can be extraordinarily difficult to convey to students. They still tend to want to think of history as ‘what happened’, as an objective perspective on the past, rather than something constantly written and rewritten. This week they began the section of the course on modern Irish historiography, with particular focus on historical revisionism, so I assigned some background reading, the introduction to D. George Boyce and Alan O’Day’s book, The Making of Modern Irish History: Revisionism and the Revisionist Controversy. Overall it provides a fairly good survey of the issues and developments in twentieth century Irish historiography. I’ve studied revisionism before, but in preparation for the tutorials then I decided to brush up and look more closely at the sources mentioned in that chapter, which led to an interesting discovery (as I put on my Sherlock Holmes hat for Halloween!). In a nutshell, the issue raised by Butterfield’s exposition of the positive values of English public history [in The Englishman & His History and The Whig Interpretation of History] is whether the received version of Irish history may not, after all, constitute a beneficent legacy – its wrongness notwithstanding – which the revisionists with the zeal of academic pursuits are seeking to drive out. He does not say, as Boyce and O’Day suggest, that ‘the received version of Irish history’is definitively a beneficent legacy. He says that the issue is whether it is and his statement hinges on that word, making it something entirely different than the way Boyce and O’Day quote it. The practical consequence of this combination was a determination to debunk the popular perception of Irish history as a struggle for the liberation of “faith and fatherland” from the oppression of the Protestant English. On the contrary, the implications of my own insight seemed to be that “national consciousness”, comprised of precisely those elements, lay at the heart of the historic “Irish problem”. I think few would disagree with his assessment of the revisionist focus on challenging national myths and the narrative of rebellion against 800 years of oppression by the English. He suggests not that these ideas should be reinstated, but that their significance and relevance within Irish history should be recognized. Whether or not the nationalist version of history is in any way accurate, many people believed in it and we cannot understand Irish history without some discussion of nationalism. Thus, far from arguing that Bradshaw is an incontrovertible nationalist, after this bit of historical detective work I would tend to agree with his own assessment of the article ‘Nationalism and Historical Scholarship’ as much closer to a post-revisionist manifesto than a nationalist one. And as much as this sort of detective work can have its rewards (I can’t deny getting some satisfaction from the ability to call out the mistakes of established scholars) let there be one lesson: always properly cite your sources! In this day and age all Sherlock Holmes needs is Google (and access to JSTOR).